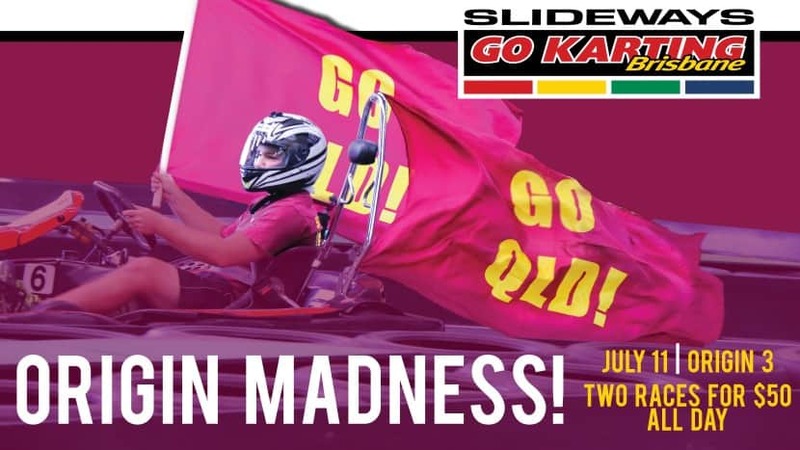 Cheap Karting with Origin Madness at Slideways Brisbane! 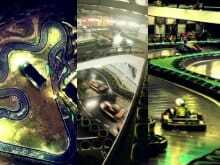 Home Cheap Karting with Origin Madness at Slideways Brisbane! State of Origin fever hits Slideways Go Karting Brisbane at Eagle Farm on Origin Game 3 day, Wednesday July 11, with two 10 minute races available from 10am to 10pm for only $50 per person! The offer represents an awesome $19 saving over the regular two race pricing, is available only at Slideways Go Karting Brisbane Eagle Farm (870 Kingsford Smith Drive), with all sessions purchased to be used on the day. Standard Slideways membership requirements apply. If you haven’t raced with us since our massive renovation, Origin Madness is the perfect opportunity to check out our new-look massive multi-level drift track! It is longer, has more massive ramps, is faster and flows perfectly, meaning you can link together the entire circuit drift style with your mates. Why not make a day of it? Take on a spot of Slideways before heading off to the Cauldron or your faviourite venue – the Breakfast Creek Tavern and Hamilton Hotel are just down the road! Just remember – Slideways has a strict zero alcohol policy, and we reserve the right to refuse entry to anyone who we believe to be intoxicated. Click here for our Facebook event and join the fun! Bookings Essential! Call (07) 3868 2225 from 10am-10pm daily!